UC CalFresh assists limited-resource clients gain the knowledge skills, attitudes and changed behavior necessary to choose nutritionally sound diets and improve well-being. Our services are offered at no cost to organizations or programs that enrolls CalFresh recipients, applicants and eligibles on a voluntary basis. 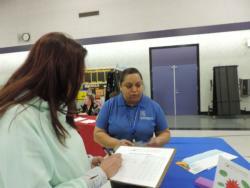 The Adult program is delivered by UCCE staff and community based organizations. 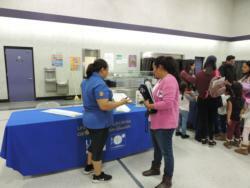 Additionally, UCCE staff delivers youth and family-centered curricula. 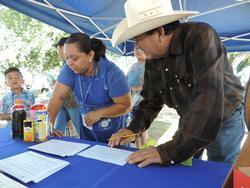 Staff and volunteers use one of several UC CalFresh approved curricula. We provide our curricula and support at no cost when you partner with us. 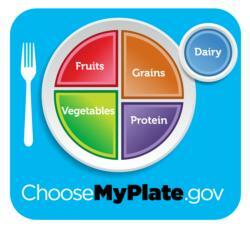 Click here to view the My Plate website. 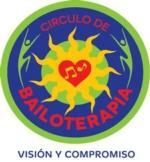 Bailoterapia (Dance Thereapy is a cardio physical activity. 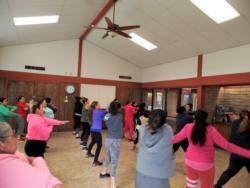 It's a fun and engaging way to incorporate physical activity in to your life. The UC CalFresh program is offering this at several locations. We are working with Vision & Compromise to offer these classes in Corcoran. In Hanford we are working with Family Health Care Network to offer these classes. Please contact Maria Carbajal for dates and times. Please call or e-mail Maria for information about hosting classes at your sites or where we are holding classes this month. The EatFresh.org Mini Course is a free direct education online course that includes 15 nutrition and healthy living topics. Users can take the course at their own pace, starting and resuming whenever it is convenient for them, and can earn up to three certificates of completion. The course is designed for audiences with beginner computer skills and is also mobile-friendly. Click here for some great ideas!